Restore Your Smile With Our Expert And Gentle Dental Care!! Restorative dentistry involves repairing teeth that may have cavities, are worn or missing. Our caring and expert dentist will help you restore your smile. Direct – This involves fillings, which restore your tooth structure and eliminate cavities. With rapid advancement in dental technologies there are various options available to fill your teeth. Indirect – This involves prosthetic devise such as crowns, dentures and various other options to restore your natural teeth or replace missing teeth. Gum disease is very commonly seen nowadays. We assess the severity of gum disease and provide with ADA brochures for better understanding of disease process. We offer treatment for gingivitis & periodontitis (advanced gum disease) with regular follow-up & maintenance. We provide acrylic / metal dentures at Southern Cross Smiles. We also offer emergency denture repairs e.g. - broken denture base, addition of tooth to existing denture. Immediate Dentures are also provided at Southern Cross Smiles. We offer single tooth implants, implant supported bridges & crowns at Southern Cross Smiles. We also offer implant supported dentures & multiple implant placement. It’s often required to replace the missing tooth and termed as fixed prosthesis. 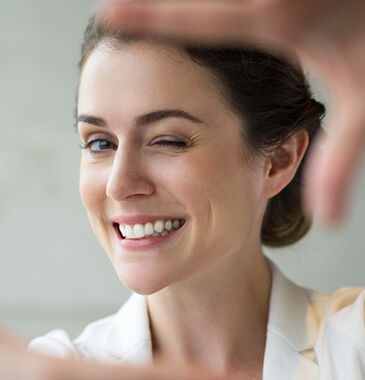 Our expert dentist will assess the replacement options for missing tooth and provide the choice of bridge ranging from Porcelain, Ceramic, Gold, Silver, and Porcelain fused to Metal, and Porcelain fused to Zirconia to achieve the finest of anatomy and function. We offer range of tooth extractions- wisdom teeth (also have in-house OPG radiography services to accurately diagnose the condition), grossly decayed teeth and also extractions for orthodontic purposes. Wisdom teeth extraction requires comprehensive planning and we may request for an OPG to plan the extractions. Please contact the office on 9670 0321 for further information. If the caries/decay in the tooth extends very deep into the innermost portion of the tooth called pulp, Endodontic therapy is required. The pulp extends in to the roots of the tooth in the form of small canals. Simply placing a filling on the tooth will not rectify the problem. In these cases the pulp is either inflamed or infected with symptoms like severe tooth ache, very sensitive tooth, lack of sleep due to toothache and the therapy for the root canal is required. At Southern Cross Smiles we take all necessary tests to diagnose the pathology. With the use of state of the art equipment like electric pulp tester, rotary endodontic unit we have minimized the chair time for root canal therapy. We also offer single visit/multi visit endodontic treatment to the appropriate cases. Filling is often required to replace the carious/ decayed tooth structure. 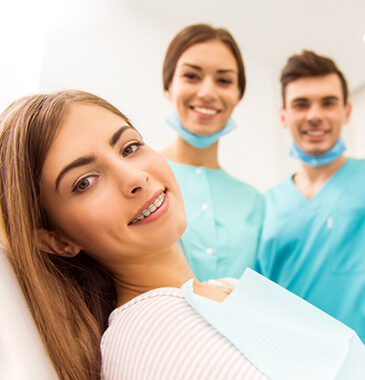 Not only we offer range of tooth fillings – composite (white), amalgam (silver), GIC (fluoride releasing), gold, ceramic & porcelain but we also offer advice to prevent the chances of decay on other teeth & maintenance of filled teeth. Our very friendly and skilled dentists provide fillings on children’s teeth as well.